A photojournalist was gang-raped by five people on Thursday evening at the dilapidated and isolated Shakti Mills compound in Lower Parel, south Mumbai. She was admitted in Hospital and her condition is now described as stable by doctors attending to her at the Jaslok hospital. The young woman, who works with a magazine in the city, was on assignment with a male colleague when she was assaulted at about 8 pm yesterday. The woman and her friend have described in their statements to the police how two men accosted her, beat up and tied her colleague with a belt and then dragged her into a run down, abandoned building, where three other men joined them and gang-raped the young woman. The attackers then fled the spot. 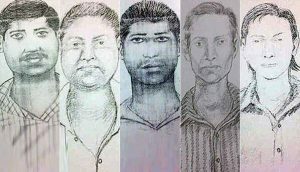 The young woman and her colleague took an auto rickshaw to the Jaslok hospital four kilometers away and doctors called in the police.Twenty people have been detained and the police have released sketches of five suspects based on the statements released by the woman. 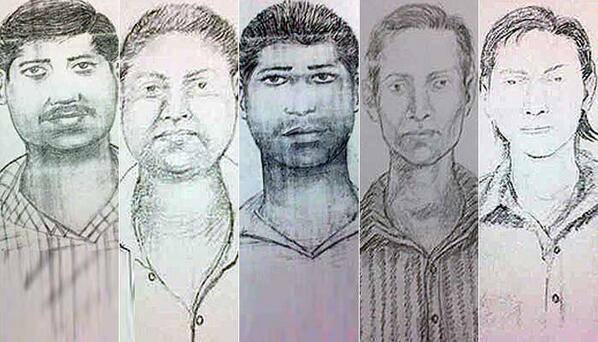 The woman has reportedly said that two of her attackers called each other Rupesh and Sajid. Four of the men are believed to be in their early 20s and Mumbai’s police commissioner Satyapal Singh said he suspected they were drug addicts. ‘This is a very serious matter. The accused will be arrested soon,” Maharashtra state Home Minister RR Patil told reporters late on Thursday night after visiting the woman in hospital. Today morning they were arrested . Lets hope they get severe punishment ! !